Canada definitely has its merits in the golf-lovers world. Though often overshadowed by its neighbor the USA, Canada has certain charm and flavor that could appeal to many dedicated golf players for a golf holiday, organizing a golf event or holding a corporate golf treat. Just like its neighbor and golf leader the USA, Canada offers a neatly developed structure of the sport – almost all of its populated areas are equipped with accessible public golf courses. Unlike its neighbor, however, that is spanning over several climate zones, Canada’s climate is colder and its landscape – more severe. This is why the Canadians, who just like the Americans love golf, have come up with ingenuously designed golf facilities that could accommodate golf practice, golf tourism and the various golf tournaments they hold throughout the whole year, regardless of the weather conditions. A glimpse through the lists of the golf courses and resorts in Canada, arranged by provinces, suggests that Newfoundland and Labrador, and Ontario account for the biggest number of golf venues. The runner-ups are Quebec and British Columbia. According to Golf Canada, an authoritative member- based organization that is the governing body of golf in Canada, representing more than 350 000 members at 1 600 clubs across the country, the total current number of golf courses in Canada surpasses 2000. The organization which sees its mission and responsibility as “promoting participation in and a passion for the game of golf in Canada”, runs a very informative website www.golfcanada.ca that provides a golf course look-up by province and a detailed information on all member courses and sites. To the professional and/or competitive amateur golfers Canada offers a list of attractive tournaments, some of them co-held with the USA. The country offers 3 significant women’s golf tournaments held annually, namely Canadian Women’s Amateur, and the professional competitions Manulife Financial LPGA Classic and Canadian’s Women Open. 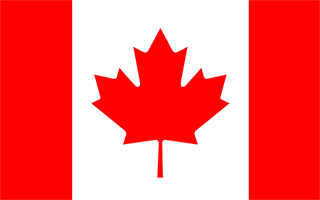 The country also holds various leagues for Canadian and foreign amateur golfers. Among the important annual amateur tournaments are the Canadian Amateur Championship, the Pacific Coast Amateur and the Pacific Northwest Amateur (aka as PNGA Men's Amateur). Beware that most of the competitions rotate their hosting venues, so it is a good tip to check the current and future sites of the tournaments in advance if you are planning a golf event trip. The Pacific Coast Amateur and the PNGA Men's Amateur switch their sites between US and Canada. There is also the annual Willingdon Cup which is historically related to a certain Governor General of Canada, Lord Willingdon. In 1927 the politician started the cup donating it to Golf Canada (back then Royal Canadian Golf Association). The Willingdon Cup that is of great national importance annually distinguishes the best Canadian amateur golf team among the provinces of Canada. As an article in the magazine Golf Canada, a reputable Canadian edition on golf says: ‘When it comes to the game of golf, the environment plays a big role in determining performance outcome. Environmental factors such as heat, cold and travel stresses such as jet lag have powerful impacts on the human body, including the muscles, blood, nerves, heart and lungs. Fortunately, well-educated and properly prepared players can cope with stressful environments…’ And indeed nowadays the Internet offers plenty of possibilities for smart holiday planning. If you are heading to swing the club in Canada, here is a brief overview of its climate. The climate in Canada typically varies from warm temperate in south to subarctic and arctic in north. The terrain: mostly plains with mountains in west and lowlands in southeast. For Ottawa, the Canadian capital, in January the daily average maximum temperatures is 0°C with the average minimum -9°C, while in June the average maximum is 26°C with a minimum of 13°C. The wettest month for Ottawa is June with an average of 85.4mm of precipitation falling while the driest month is March with 49.3mm falling. So, in order not to be overwhelmed during your golf break, do make a nice research ahead. It may be interesting to know that with its 2300 golf courses Canada ranks 4th in terms of number of golf courses. The country follows the ultimate leader USA (with above 17 000 sites) and the runner-ups UK (about 2700 sites) and Japan (about 2442 golf sites). Thus, Canada accounts for a 7% of the global golf venues (data from 2008, United States Golf Association). Another curious thing is that in 2003 the Golf Canada organization set up a Team Canada for the development of the best Canadian amateur golfers in various age groups. The mission of the teams doesn’t lack hubris – the Canadians want to produce the best amateur golfers in the world. “The Team Canada program is year-round in scope and encompasses fitness, sports psychology, nutrition, technique, equipment and international competition. Leaders in the field of sport science have been a part of building the program and continue in the ongoing execution of the program from the perspective of mental performance coaching, strength and conditioning, equipment as well as planning and periodisation. A full-time national coach and part-time assistant coach work with each team”, relates the site of Golf Canada. Go, play golf in canada! All this said, Canada has been definitely trying to promote golf and integrate it into its society as an accessible sport. This has obviously resulted into a well-developed golf sites and golf culture. With its beautiful Nordic nature and its interesting golf events for amateurs, the country is definitely an interesting and attractive destination for golf travelers.